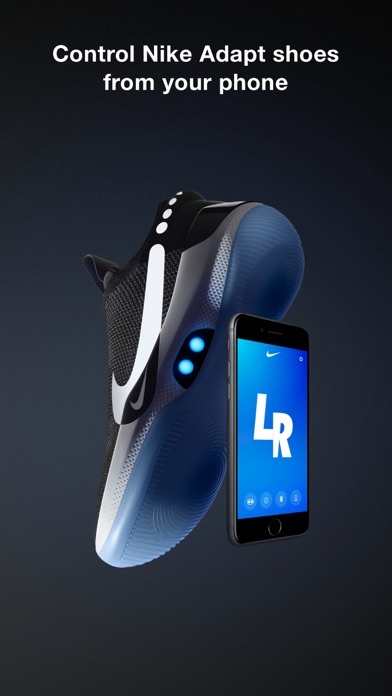 The Adapt App gives you exclusive access to the latest and greatest features of your Nike Adapt footwear. 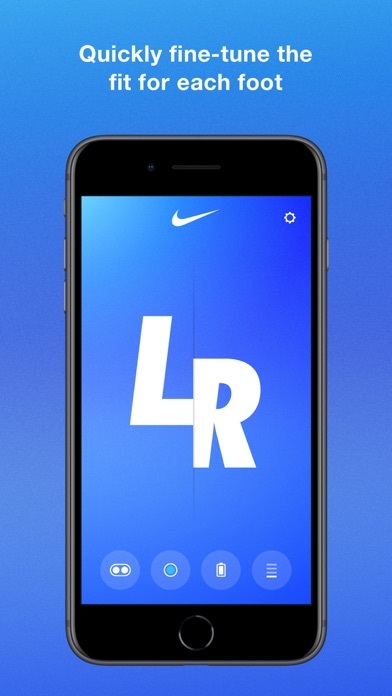 REMOTELY ADJUST YOUR FIT Tighten or loosen Nike Adapt footwear from your phone. The Adapt App allows you to make micro-adjustments for each foot, and it displays the level of tightness as personalized reference points. 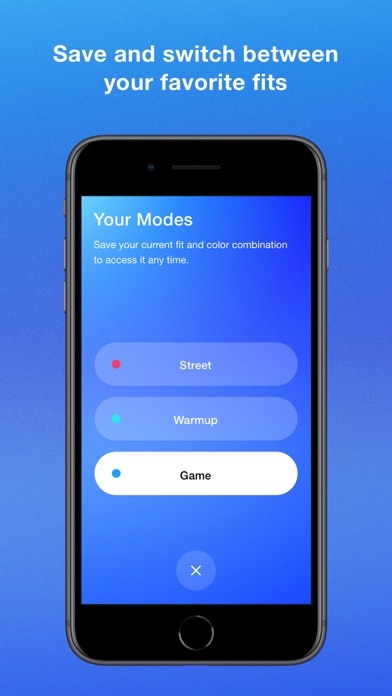 SAVE MULTIPLE FITS Save up to three of your favorite fits, and easily switch between them depending on your activity. CUSTOMIZE THE LIGHTS Choose from 13 iconic Nike colors, or completely turn off the lights when you don’t need them. 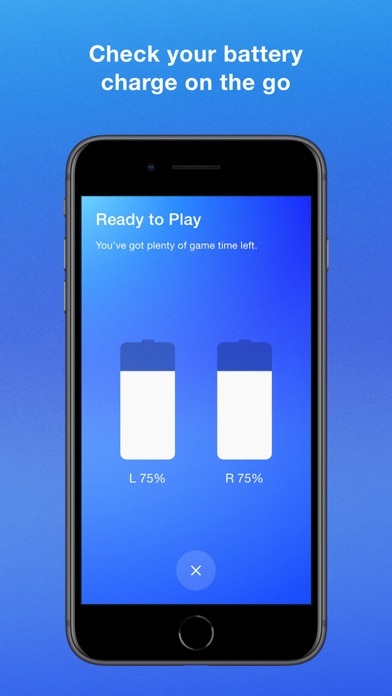 CHECK YOUR CHARGE Know exactly how much power you have left, and get notified when you need to charge your shoes. 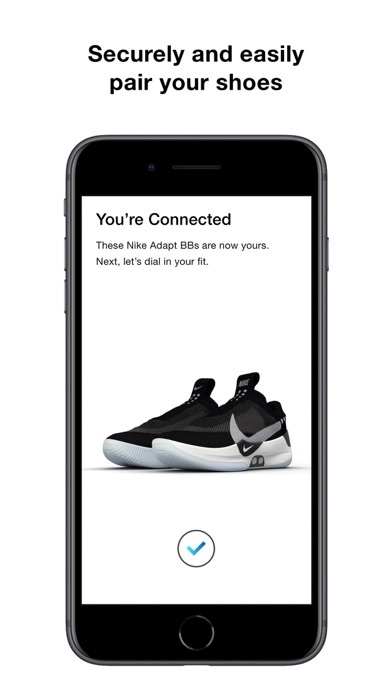 SECURELY CONNECT YOUR SHOES The Adapt App gives you a secure connection to your Nike Adapt shoes. Once your shoes are paired, only you can control your fit. 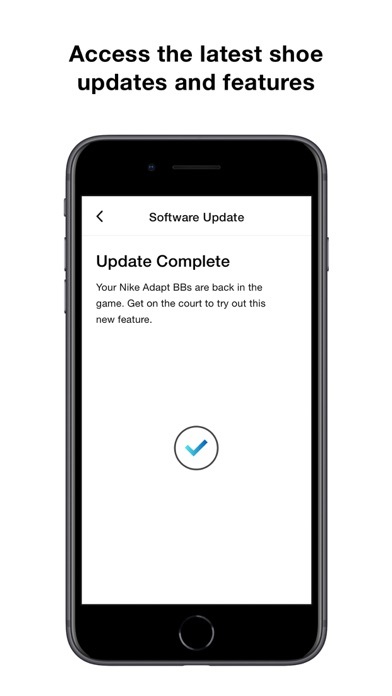 The Adapt App allows you to remotely adjust the fit of your Nike Adapt BB shoes and requires data like current fit, LED color and battery level to be transmitted from the shoes to the app. For more information, go to nike.com/adapt/support. LET US LEAVE THE LIGHTS ON! Main reason i bought these shoes was because i thought you could rock them with the lights on. I love the Nike Adapt shoe. However, for the price I paid, the Adapt should be more comfortable. Sometimes, the shoe disconnects. When I called NIKE, I was admonish not to update the information, which is strange because I constantly get a notification to update. Nevertheless, the Adapt is a coil shoe that not a lot of people wear. I just bought these shoes thinking oh these aren’t gonna be any different from the air mags I just wanted to see if they were really the waste of money like I got told but boy were those people wrong these are the coolest and 100% worth the money I’ve love Nike my whole life and this made me love Nike even more GREAT JOB NIKE!!!!! I bought them on the first day. The first pair up was fine, then I updated the app and my left shoe lost connection forever. I forget blue tooth device for both shoes, re-download the app with another account, and kept the oldest version, both shoes were able to connect. worked for a month. 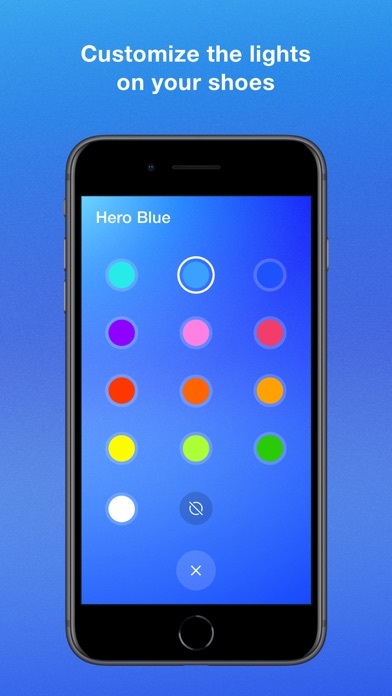 And yesterday I finally decided to update this app since it’s already been quite a long time, and the newest version should be able to solve any of the problems. However after I did it, this time my right shoe lost connection forever. What the hell man this is really irritating, I’m not trying to be mean but some of your software engineers need to be fired. Besides, my right shoe could never do the self lacing properly, never! And I’m very sure i did the correct settings. Simple 😐 Please make a setting in app to be able to keep the lights on. Maybe a timer. Please please. If so I may keep them. But for this price I want customization? ?